Seit mehr als 40 Jahren entwickelt und produziert die Endress+Hauser Flowtec AG industrielle Durchflussmessgeräte für Flüssigkeiten, Gase und Dampf – und hat sich dabei eine Spitzenposition erarbeitet. Die Produktion der Messgeräte erfolgt dabei seit vielen Jahren unter anderem auf Systemen aus dem Hause Rehm, das bereits vier ProtectoXP-Lackiersysteme, zwei RDS 3000-Trocknersysteme sowie vier VisionXP+ Konvektionslötanlagen an das Schweizer Unternehmen lieferte. Nun kam die fünfte VisionXP+ dazu: Die ständige Linienerweiterung bei Endress+Hauser Flowtec lässt erkennen, dass man kontinuierlich auf wachsendem Kurs ist. Wie alle Systeme der VisionX-Serie ist auch diese VisionXP+ mit zwei bewährten Residue Management Systemen ausgestattet: der Pyrolyse in der Vorheizzone sowie der Kaltkondensation und Filterung in der Kühlstrecke. Damit werden alle Aggregatzustände der Residues – gasförmige, flüssige, kristalline und Partikel – effektiv und energieschonend aus dem Prozessgas entfernt. Die installierten VisionXP+ Systeme haben außerdem alle eine verlängerte Kühlstrecke („Power Cooling Unit“) mit 1,5 Metern, was ein schonendes und kontrolliertes Abkühlen der hochkomplexen Baugruppen ermöglicht. So bietet Rehm Systeme, mit denen E+H höchst präzise arbeitet, eine gleichbleibende Top-Qualität der Produkte gewährleistet und optimierte Prozesse realisiert werden können. „Mit Rehm haben wir einen zuverlässigen Geschäftspartner, der uns hochwertige thermische Systeme bereitstellt, auf denen wir unsere Produkte mit konstanter und zuverlässiger Qualität produzieren können. Wir können uns stets auf Rehm verlassen: Sowohl in Bezug auf die Funktionalität und Zuverlässigkeit der Systeme als auch in Bezug auf die Expertise, den Service und die Zusammenarbeit“, sagt Marco Nardozza, Projektleiter bei Endress+Hauser Flowtec, der gemeinsam mit Abteilungsleiter Patric Kiener die neue VisionXP+ in der Produktionshalle in Reinach in Empfang genommen hat. Die Partnerschaft zwischen den beiden Unternehmen besteht seit mehr als 20 Jahren: „Endress+Hauser Flowtec ist für uns ein Geschäftspartner der ersten Stunde. Es ist für uns immer wieder eine Bereicherung, Projekte miteinander zu realisieren und Wissen auszutauschen, um gemeinsam hochwertige Elektronik produzieren zu können. Wir schätzen diese positive Zusammenarbeit, danken für das Vertrauen in uns und freuen uns auf all die Projekte, die wir in Zukunft noch zusammen bewältigen werden“, sagt Michael Hanke, Gesamtvertriebsleiter bei Rehm Thermal Systems. In mid-March, Rehm Thermal Systems handed over their 5000th reflow soldering system, the convection soldering system VisionXP+ to the Endress+Hauser Flowtec AG in Reinach, Switzerland. Endress+Hauser Flowtec AG was founded in 1977 and is one of today“s global leaders in the supply of flow measurement technology for use in all areas of industrial process engineering. Rehm Thermal Systems and Endress+Hauser enjoy a successful partnership reaching back over more than 20 years. A partnership that has given rise to numerous joint projects. Endress+Hauser Flowtec AG has been developing and manufacturing industrial flowmeters for liquids, gases and steam for over 40 years, earning itself a leading position in this field. For many years now, these flowmeters have been produced using systems, supplied among others, by Rehm. Rehm Thermal Systems has already supplied the Swiss company with four ProtectoXP coating systems, two RDS 3000 drying systems, as well as four VisionXP+ convection soldering systems. A fifth VisionXP+ has now been added to this number. Endress+Hauser Flowtec“s constant line expansion indicates a course of continual growth. As with all systems in the VisionX series, this VisionXP+ is equipped with two tried and tested residue management systems: pyrolysis in the preheating zone, as well as cold condensation and filtering in the cooling tract. This ensures that all residue, whether in gas, liquid, crystalline or particulate form, is removed from the process gas in an energy saving and efficient way. The VisionXP+ systems from Rehm Thermal Systems in use at Endress+Hauser are also equipped with an extended 1.5 metre cooling tract (Power Cooling Unit), which allows for gentle and controlled cooling of the highly complex components. Rehm Thermal Systems can thus offer Endress+Hauser systems, on which the highest precision manufacturing is possible, consistency of top quality products can be ensured and process optimisation can be successfully put into practice. „In Rehm we have found a reliable partner that supplies us with high quality thermal systems, on which we can manufacture our products with consistent and reliable quality. We can always rely on Rehm: for the functionality and reliability of their systems, as well as for their expertise, service and cooperation“, says Marco Nardozza, Project Manager at Endress+Hauser Flowtec, who alongside Department Manager Patric Kiener took delivery of the new VisionXP+ at Endress+Hauser Flowtec“s production site in Reinach. The partnership between Endress+Hauser and Rehm Thermal Systems has existed for more than 20 years: „For us, Endress+Hauser Flowtec has been a business partner right from the word go. Our company always stands to gain when carrying out joint projects and exchanging knowledge with Endress+Hauser Flowtec in order to produce high quality electronics. We value this positive cooperation, are thankful for the trust invested in our company and look forward to mastering future projects together“, says Michael Hanke, Sales Director at Rehm Thermal Systems. Endress+Hauser is a leading international supplier of measurement instrumentation, services and solutions for industrial process engineering. Within the globally active Endress+Hauser group, Endress+Hauser Flowtec AG counts as one of the leading manufacturers of industrial flowmeters for liquids, gases and steam. Its leading global position has been acquired in over 40 years of experience as a centre of competence. Endress+Hauser Flowtec AG currently employs over 1800 people at six production sites in Reinach (Switzerland), Cernay (France), Greenwood (USA), Aurangabad (India), Suzhou (China) and Itatiba (Brazil). In the convection soldering system VisionXP+ from Rehm Thermal Systems, the soldering process does not end with the melting of the solder. A stable and reliable cooling process is particularly important for an optimal soldering result. This can be flexibly designed in this kind of system. In addition to standard cooling with four cooling modules, customers can also choose an extended cooling section („Power Cooling Unit“), underside cooling or an energy-saving cooling variant. With Rehm CoolFlow, Rehm also offer an innovative cooling system using liquid nitrogen. The standard cooling system installed in all VisionX convection soldering systems consists of up to four individual cooling modules. These allow a precisely controlled cooling process as well as individual adjustment of the cooling gradient. In the cooling process, the air produced by the soldering process, which is very warm, is first sucked into the lower part of the system. It is then cleaned over several cooling modules and cooled to the desired temperature (usually below 20 °C). The air is then blown back from above onto the assembly, which results in the cooling. The „closed loop principle“ guarantees a closed atmosphere cycle. The standard cooling section consists of active and passive cooling modules. The active cooling modules are supplied with water via a heat exchanger. The cooling filters can be easily cleaned and serviced at the rear of the system: the process chamber does not need to be opened to do this. For particularly massive or large assemblies or boards with product carriers, the VisionXP + can also be equipped with underside cooling. The actual cooling process is identical to that of the standard cooling section, but the extracted, cleaned and cooled air flows not only from above onto the module, but also from below. Rehm also offers an energy-saving cooling variant for the VisionXP+ convection soldering system: the air is extracted at several points rather than just one. This results in gradual cooling and offers significant energy saving potential. Along with their partner Air Liquide, Rehm has developed a cooling system („Rehm CoolFlow“), which uses the nitrogen used for inertia even more efficiently. The -196°C liquid nitrogen releases its energy in the cooling section, then evaporates and can then be used in its gaseous state for inerting the process atmosphere. The cooling water, which previously required high energy use for cooling, including cooling unit and refrigerant, is completely eliminated. Rehm Thermal Systems zeigt Messepräsenz auf den wichtigen Messen in Osteuropa. Rehm Thermal Systems präsentiert sein Produktportfolio auf der SMTconnect in Nürnberg. Die SMTconnect in Nürnberg (ehemals SMT Hybrid Packaging) rückt Jahr für Jahr aktuelle Themen rund um die Elektronikfertigung in den Fokus. Dieses Jahr findet die Messe, die zu den größten und bedeutendsten der Branche gehört, vom 07. bis 09. Mai statt. Mit dabei ist dieses Jahr auch wieder Rehm Thermal Systems: In Halle 4A, Stand 100! Dort präsentiert der Hersteller thermischer Systemlösungen seine neuesten Produktentwicklungen. Kommen Sie vorbei, das Team von Rehm freut sich auf Sie! „Look further, go beyond“ – unter dieses Motto stellt Rehm Thermal Systems seinen diesjährigen Messeauftritt auf der SMTconnect. 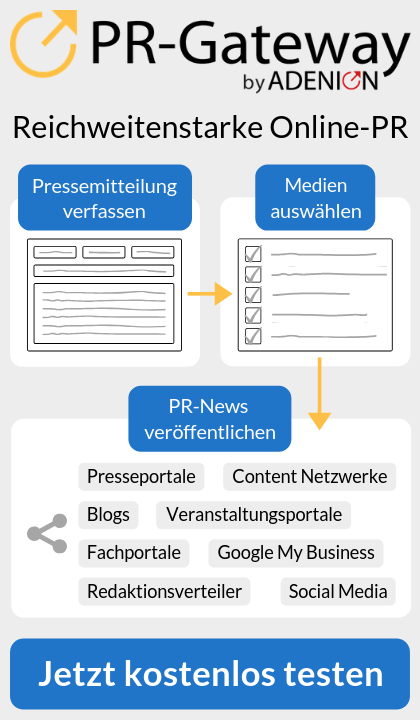 Die Entwickler und Konstrukteure von Rehm greifen mit ihren anlagen- und prozesstechnischen Weiterentwicklungen und Optimierungen in die Zukunft, haben einen Weitblick für die Entwicklung der Elektronikfertigung. 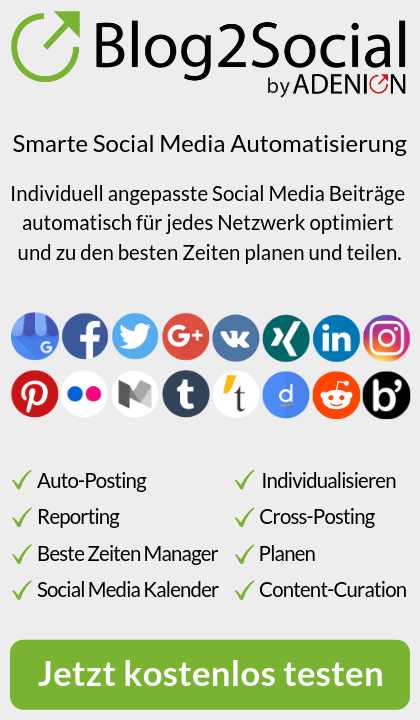 Dies spiegelt sich auch in den ausgestellten Anlagen und Tools wider. VisionXP+: Das „Best in Class“ System für das Reflow-Konvektionslöten mit oder ohne Vakuum wird jetzt noch effizienter! Auf der SMT präsentiert Rehm die Highlights der VisionXP+, z.B. den Einsatz neuer EC-Lüftermotoren, die nicht nur leiser und nachhaltiger sind, sondern auch eine umfangreiche Betriebsdatenerfassung ermöglichen, eine leistungsstärkere Kühlstrecke und Optimierungen im Design. CondensoXC: Die CondensoXC ist durch die innovative Prozesskammer kompakt gebaut und groß in der Performance. Durch das patentierte Injektionsprinzip wird dem Prozess exakt die richtige Menge Galden® zugeführt, für optimale Profilierungen. Über das Closed-Loop-Filtersystem kann das Medium zu nahezu 100 % zurückgewonnen und gefiltert werden. Die Anlage ist voll vakuumtauglich und verfügt über einen integrierten Prozessrecorder – für optimale Traceability. CondensoXS smart: Die neuen Condenso smart-Systeme von Rehm Thermal Systems basieren auf dem Kammerdesign der CondensoXC und sorgen so für eine hohe Prozessstabilität. Eine vergrößerte Prozesskammer bei weiterhin kleinem Footprint ermöglicht einen höheren Durchsatz und somit kürzere Prozesszeiten. Überzeugen Sie sich selbst von der neuen CondensoXS smart am Stand von Rehm. Nexus: Das Vakuumlötsystem Nexus eignet sich hervorragend für lunker- und flussmittelfreies Löten bis 450 °C mit verschiedenen Prozessgasen. Optional ist die nasschemische Aktivierung mit Ameisensäure verfügbar. Der Einsatz von bleifreien/bleihaltigen Preforms und Pasten ist möglich. Anwendung findet das Kontaktlöten im Bereich Advanced Packaging und Power Electronics. Securo Minus: Um die Beständigkeit von sensibler Elektronik unter extremen Temperaturen zu analysieren, hat Rehm die Securo-Baureihe entwickelt. Securo Minus wird im Rahmen des Kaltfunktionstests unter anderem zur Prüfung der Wintertauglichkeit von elektronischen Baugruppen eingesetzt. Diese werden in der Anlage mit bis zu -55 °C kalter Luft oder Stickstoff angeströmt und so auf die optimale Prüftemperatur gebracht. Das System ist mit jedem Messequipment kombinierbar. ProtectoXP: Das selektive Conformal Coating System Protecto schützt empfindliche elektronische Baugruppen vor Beschädigung durch Korrosion oder anderen Umwelteinflüssen wie Feuchtigkeit, Chemikalien und Staub. Auf der Messe präsentiert Rehm verschiedene Applikationsmethoden für unterschiedliche Einsatzbereiche und Materialien. Allen gemeinsam ist das absolut zuverlässige und präzise Lackieren – für beste Ergebnisse! ProtectoXC: Auch bei geringem Durchsatz garantiert die ProtectoXC zuverlässige Lackierprozesse. Durch ihre kompakte Bauweise lässt sie sich ohne Probleme als Batch- oder Linienvariante integrieren. Auf der Messe präsentiert Rehm erstmalig das Lackiersystem ProtectoXC mit der ViCON-Anlagensoftware. Das neue Bedienkonzept vereinfacht die Lackierbilderstellung und beinhaltet zahlreiche Features für ein einfach zu erstellendes, reproduzierbares Lackierergebnis. Wir freuen uns auf den Dialog mit Ihnen! Besuchen Sie uns in Halle 4A, Stand 100!